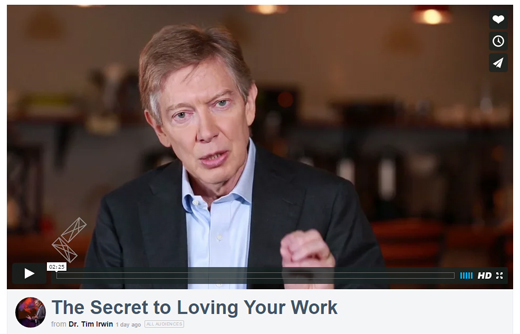 Please watch the video below where I describe a person who found what we all seek—meaning and purpose in our work. Yes that was an excellent clip about meaning and purpose of work which was great. It reminds me of my father in law who has given sight to around 200 people who were blind, many where African, who had never seen but when they did they danced with joy. He was one of the leading eye surgeons in his time. Thanks so much it encouraging to listen to encouragers and leaders like yourself, its also good that we walk with humility and realise every we have been given to bless mankind is a precious gift and we are to never abuse it but to give thank to Him who gave it to us .